So then what if all the devices in your life could connect to the internet? Not just computers and smartphones, but everything: clocks, speakers, lights, door bells, cameras, windows, window blinds, hot water heaters, appliances, cooking utensils, you name it. And what if those devices could all communicate, send you information, and take your commands? It's not science fiction; it's a key component of home automation and smart homes. Home automation is exactly what it sounds like: automating the ability to control items around the house—from window shades to pet feeders—with a simple push of a button (or a voice command). Some activities, like setting up a lamp to turn on and off at your whim, are simple and relatively inexpensive. Others, like advanced surveillance cameras, may require more of an investment , we are more then happy to discuss your needs and aspirations. The kitchen is the hub of the home. Its purpose has evolved from a meal preparation area to a multi-functional space used for entertaining and relaxing. As the kitchen’s functionality increases, so does its desired size and we’re seeing the rise of the ‘super kitchen’. Other rooms are being combined into this large open plan area, often incorporating the outside space too with bifold or French doors. With such an expanse of space and with varied requirements, it’s important to be able to switch between uses quickly and easily. Smart lighting is perfect for effortlessly converting the space from one function to another and creating zones for activities. Let us feed & entertain you! 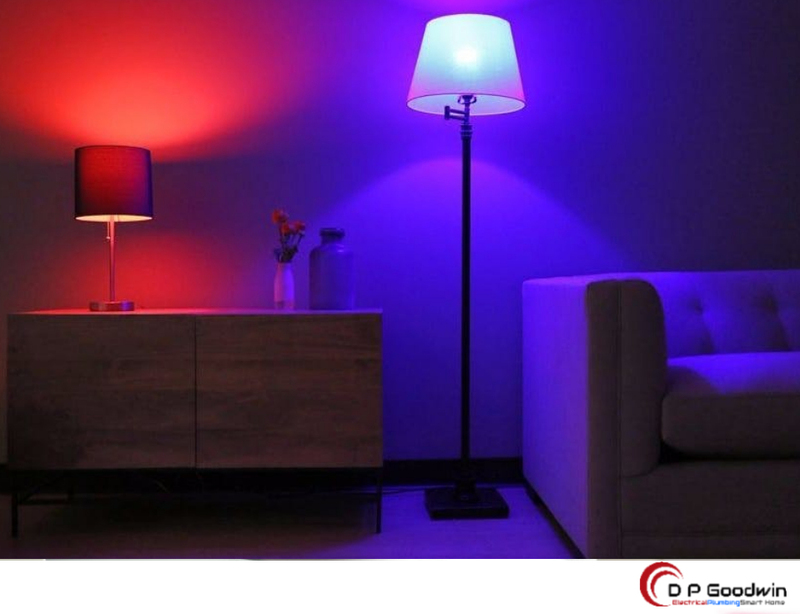 Smart lighting allows the creation of multiple lighting scenes, so the perfect lighting can be set and quickly accessed for all popular kitchen/ diner/living tasks, such as cooking, entertaining, the children doing homework at the breakfast counter, or reading in a comfortable chair. 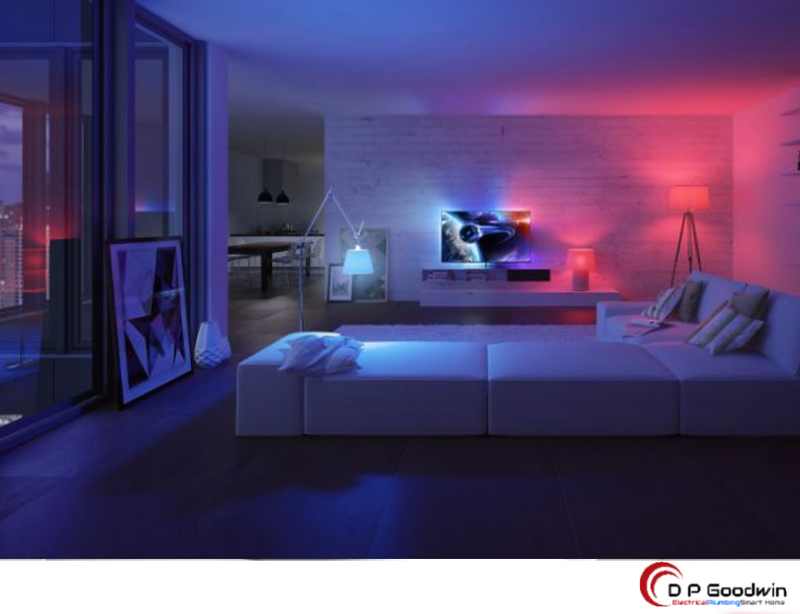 We have cost-effective solutions that take out the complication of smart lighting controls. With a simple set-up procedure, it allows the user to create, store and recall lighting scenes easily without the need for complicated programming. Control panels and switch plate functionality and design are incredibly important. The homeowner is more tech-and style-conscious and we’re seeing a greater movement away from the bog standard off-the-shelf fittings. We can help provide a host of quality wiring accessories in a wide selection of designer styles and finishes for any area of the home. Sleek control panels are available for smart lighting and audio control, while switch plates offer a vast range of functions. For the bathroom, stylish wiring accessories have shaver socket options. Meanwhile, both single and double USB charging ports are now seen as ‘essentials’ in the bedroom and kitchen, delivering extra charging capacity – supporting today’s desire for 24/7 connectivity. Additional functions such as telephone and aerial connections are also available for the bedroom or other living areas. Tailored to suit options include grid-fix plates, allowing for the control of white goods with dedicated switches that can be marked with a printed name or icon for each appliance. Separate modules can be clipped together in any combination to ensure the switch plate is tailored to each property. Moreover, this can be completed on-site to accommodate any last-minute changes. All switch plates and sockets can be provided in a coordinated design to suit the décor of each room. Plus, we have access to a new range of paintable plates which offers a colour-match made in interior heaven. Available from the Hartland CFX® an Sheer CFX® collections, plates can be supplied pre-painted to exactly match – or even contrast – any wall colour or design theme. And in case you prefer to apply the colour yourself onsite, plates are also available in a ready-to-paint primed finish. Multi-room audio could even be installed in the bathroom to make an evening soak even more enjoyable. A recent poll by interior design outfit Houzz* indicated that a luxury bathroom experience was high in demand, with good lighting and relaxing space top considerations. 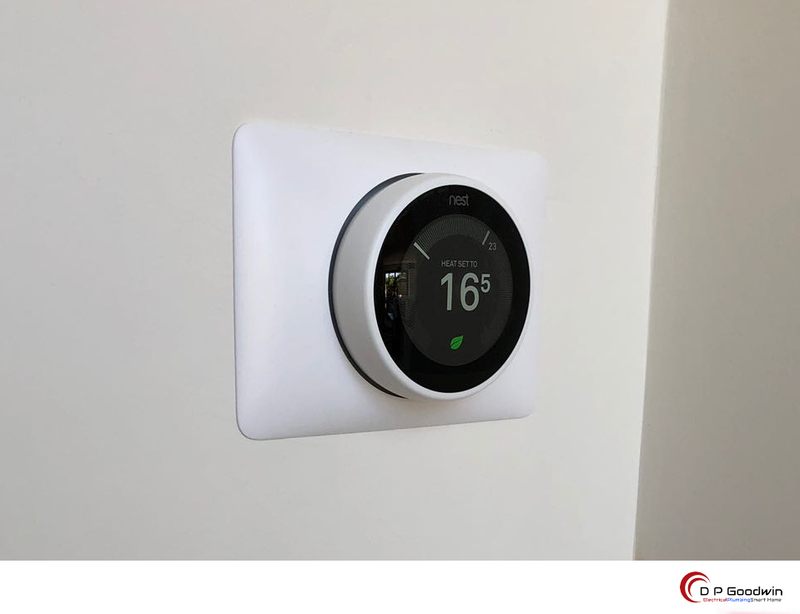 Additionally, smart home features are also making their way into the bathroom, with consumers specifically looking for innovative technology, such as high-tech showers, toilets and baths. Smart lighting and audio control add that extra level of luxury, transforming the bathroom into a sanctuary of tranquility. Wherever the music takes you. Additionally, smart audio technology can make the atmosphere even more relaxing. Multi-room audio allows easy streaming of music in multiple rooms, creating the luxurious feel of a top-quality hotel while in the comfort of your own home. Controlled by smart phone app, speakers can be installed into any room or space – even the garden – with the option of playing a single track on all speakers or different audio streams in different rooms. Boutique Hotels, also referred to as lifestyle or design hotels, are unique in interior design, architecture and theme, and are often historic. Essentially a stay in a Boutique Hotel is a lifestyle experience. According to many of our Interior Designer clients the concept of ‘Boutique’ is both inspired and inspirational. ‘Inspired’, because this type of accommodation gives consumers a highly desirable and often cost-effective alternative to mainstream hotels, and ‘inspirational’ because designers are given the opportunity to push creative boundaries. As a specialist supplier to the hotel interiors market no one knows this more than us. One of our suppliers expertise in this area recently proved invaluable during the refurbishment of Anne Boleyn’s guest rooms within a new wing of Hever Castle’s Luxury Bed and Breakfast accommodation - an Edwardian annexe created by William Waldorf Astor, designed in Tudor style. This ‘period property’ boasts a fine collection of 19 stunning ‘five-star gold’ graded suites – overlooking a private garden area. Each suite needed to encompass historical elements, modern comforts and contemporary style. 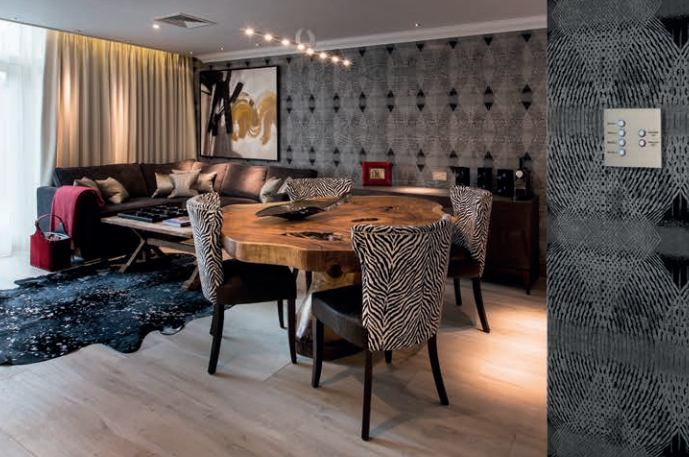 Lighting control and a relaxing and cosy ambiance within each suite was a priority, plus elements of continuity and finishing touches were the point of difference – so selecting a suitable lighting control system and the perfect mix of switch plates and sockets was a must. Expecting guests to compromise on access to technology because they are spending a night in a hotel is no longer an option. It’s expected that iPods/ iPhones can be connected to the room’s audio system through USB connections incorporated into the room switch plates. Also the guest room is often used as a remote office so again it’s important they have everything they need from communications technology and functionality within the hotel room such as the USB charger and international sockets. Our expertise lies in incorporating all this technology into a hotel room so that it does not impact negatively on the design but enhances the space, and ultimately the experience. Our unique range of decorative electrical wiring accessories can be tailored to the exact needs of the project and used to incorporate all the technology beautifully and discreetly. Boutique Hotel guests are discerning. For them it is all about the experience: the aesthetics of the environment and high levels of personal service. One thing is for sure, they expect ‘luxurious home comforts’ and that includes access to all of the home technology and entertainment services as standard. This is a major consideration and a challenge for Interior Designers when planning hotel guest rooms, especially as many of their projects tend to be refurbishments of older style and heritage properties. The ability to integrate smart technologies sympathetically and seamlessly within these projects is key. Merging the NEW in a way that’s in keeping with the OLD. Our lighting control and multiroom audio systems offer ideal automated room management/entry-level building management solutions. Typical industry standard fit outs for small to medium boutique hotels include ‘Key Card Switch’ systems: inserting the key card into the switch activates one of a series of pre-set lighting scenes subject to the time of day. The same system can also be used to activate other room services such as the airconditioning and room entertainment centres (TV/Radio). Sourcing the unusual, quirky or period furnishings and accessories is time consuming. But when it comes to electrical accessories we can help save both time and money. Unique items such as special plate finishes/ colours or non-standard plate functions can be supplied using our ‘Bespoke’ design service, larger plate sizes incorporating specified multiple functions can be designed and produced to order. With our bespoke design and production service and 18 unique plate collections, available in metal, plastic, wood and even glass finishes – many compatible with the company’s Mercury® lighting control and multiroom audio system – we can deliver a totally co-ordinated look and meet all the needs of virtually any client brief.